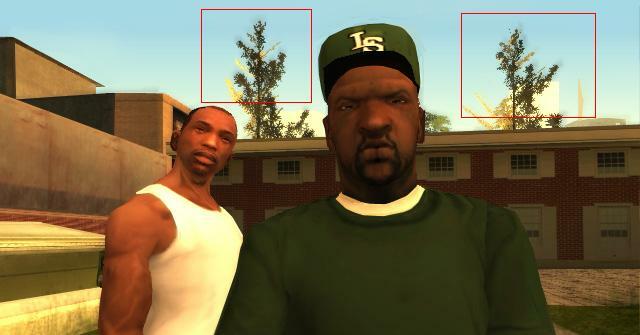 Well, for some reason Rockstar Games have ported the PS2 version to PC with a potato. So, since that happened the game has lost a lot of features and things such as control settings, post processing effects and more. With those modifications listed below you will bring back a 99.9% percent of the PS2 feeling with a few clicks! *SilentPatch: Fixes bugs and restores some PS2 features as blurred aircraft rotors, sun effects, moon phases and more! 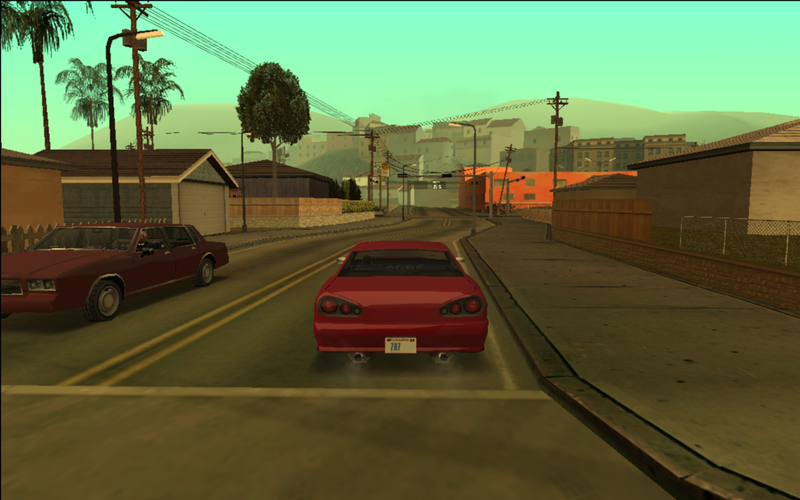 *SkyGfx: Restores almost all graphical stuff from consoles as the PS2, such as color filter, vehicle reflections, grass and more! *PS2 Markers: 3D markers converted from the PS2 to be used with SkyGfx to give them the console colorization. *PS2 Map: Added missing props like the The Four Dragons Casino lamps in Las Venturas, removed wreck cars in Los Santos and more! *PS2 Textures: All original and low resolution textures converted from the PS2. 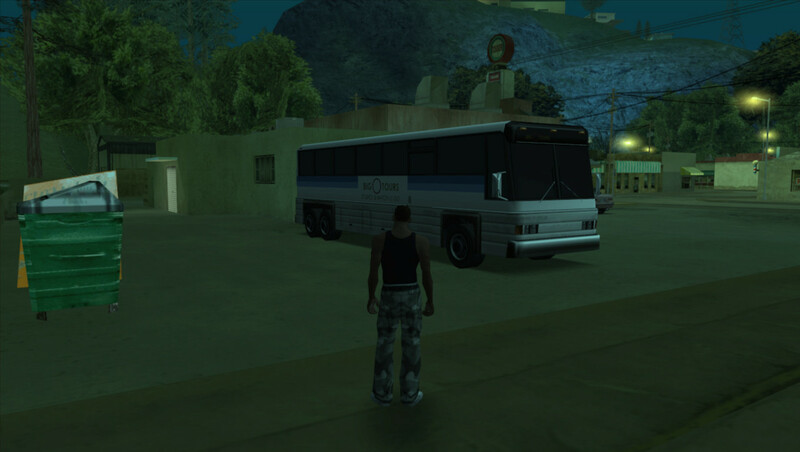 *PS2 Vehicles: All vehicles converted from the PS2. Recommended to be used with SkyGfx, reflections aren't broken as the PC vehicles. 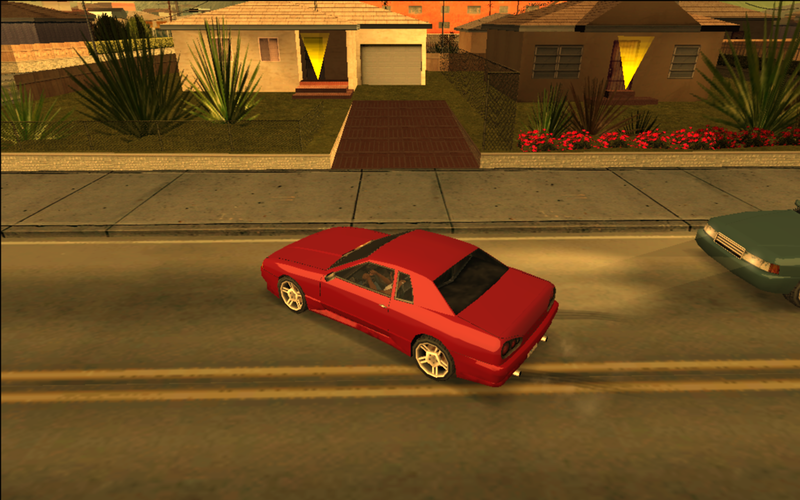 *PS2 Parked Vehicles: Restores vehicles spawn points around the map like the PS2. *PS2 Mission Script 1: Modifies and adds the 4000 points needed to pass the 'Life's A Beach' mission like the PS2. **You can't use the script listed below if you use this one already. 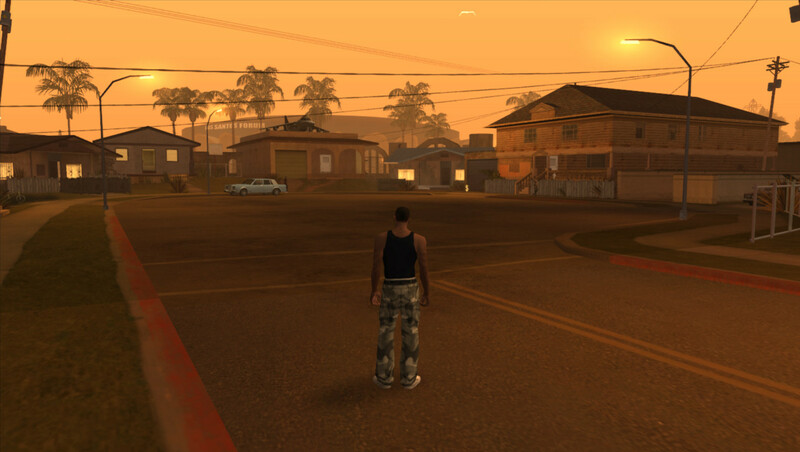 *PS2 Mission Script 2: Modifies and adds the 4000 points needed to pass the 'Life's A Beach' mission, the fast alarm in the 'Black Project' mission, controller button prompts in school screens and more like the PS2. **You can't use the script listed above if you use this one already. ***Includes a second variant, removing the fast alarm from the 'Black Project' mission. ****Requieres GInput installed. Otherwise will show missing controller button prompts. *PS2 No Aggressive Drivers: Files straight from the 'Allowed' folder from the PS2. Removes the weird and random behaviour present in PC. 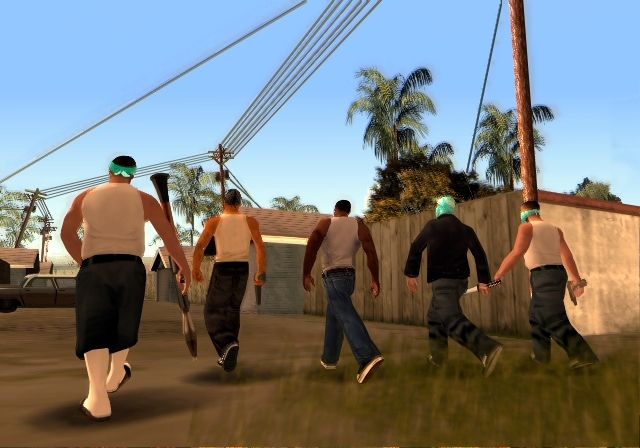 Those vehicle drivers chasing the player after a crash. Discovered by Tomasak. 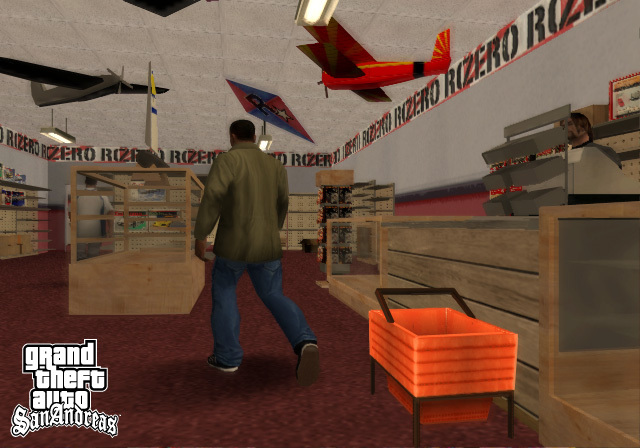 *PS2 Ammunation Interior: Removes some props from ammunation interiors like the PS2. *PS2 HUD Textures: Restores all radar icons with their PS2 counterpart, using uncompressed textures. Those textures are badly compressed in PC with quality loss. *PS2 Models: Replaces broken PC models with their PS2 counterpart such as animated TV screens in the The Four Dragons Casino and more! *PS2 Object Data: This makes some props breakables in the Atrium like the PS2. *PS2 Seabed: Restores some timecyc values present in the PS2 but missing in PC for some specific map parts. *PS2 Timecyc: Restores some values and changes some others from the PS2. Those values are broken or totally missing in the PC. Recommeded to be used with SkyGfx. 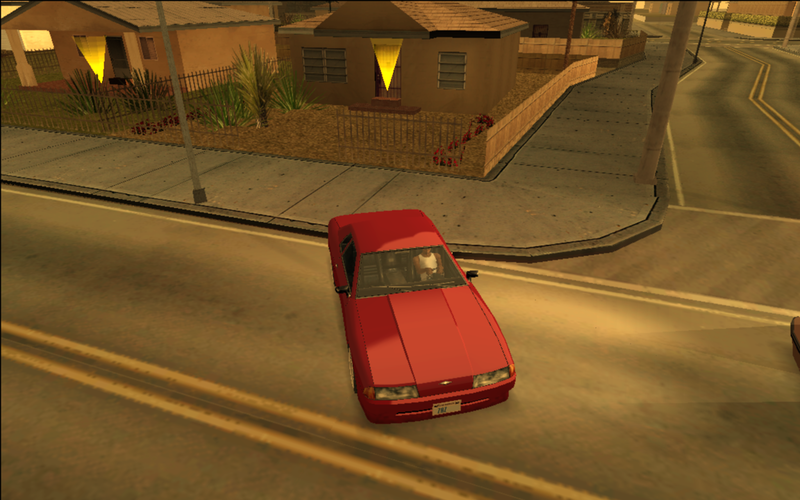 PS2 parked vehicles restored to PC! I must've missed that one! I should really check the map fixes thread more often! I literally cried when I see our modding community still strong and better. Atmosphere asi belong to NTA. Formula belong to THE HERO. Brilliant! Can't wait to try them all. Thanks to all for his contribution and authors fixed. Great topic idea, Inadequate. Now all of these awesome mods are at a convenient place. There is also cleo script somewhere by LINK that disables the grain on NVG/TVG just like on PS2 version. No idea where he posted it though. Hm, interesting, thanks. I'll take a look at it. 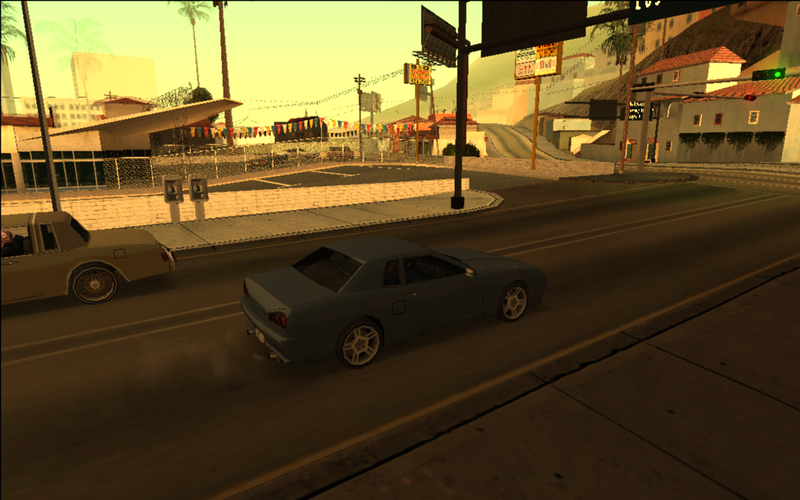 It should also be noted that the PS2 atmosphere mod will break if you drive too fast cause for some reason the blur collides with it. IIRC using some mod to disable blur works. Added on other modifications because I think is not present on PS2 originally. That might've been me, with the screenshots in the other thread? Ok, here's a first release, it's not completely finished. The movement of the environment texture is still missing, but it should be easy to implement once the texture offset and scale are found. I've also noticed a weird effect that apparently has to do with the stencil buffer. vehicle shadows are drawn *over* the vehicle for some reason, I hope I'll figure out what's the problem. The code is based on Dexx's programs as I said above, without them I would have been completely lost. Here is the binary and the shader (I'll upload the source later), put both in your SA dir. Have fun with it (and maybe post some pretty screenshots, I'm too lazy for that now). Added download to the main post. Link for car reflections by Hero doesn't work. I really want to test a compiled version of it. Please fix the link. Done. Remember is a beta version. IMPORTANT: Actually only works with a new game, sadly with a loaded save game have a lot of bugs (like black, red, green or blue cars). I don't have any issues with savegames. Works really good. Still I need to find out if it causes bugs with twopass rendering because my fences are now invisible at times. Maybe it's caused by this mod. But otherwise. Looks awesome. Even the tires aren't as reflective anymore as with SAGFX, which is very good and also realistic. Otherwise people needed to fix the models. I also found out that this one seems to actually change the reflection according to the sun and the rotation of the vehicle while Dexx version only changes the reflection according to the camera position (which is not realistic because that solution would assume that the camera is the sun itself).